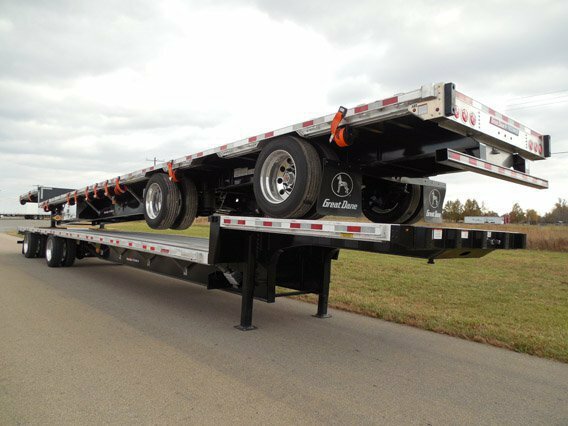 MO Great Dane offers a full line of Flatbed Trailers and Platform Trailers manufactured by Great Dane Trailers. We are an authorized dealer for Great Dane, which has factory locations in Pennsylvania, Georgia, Tennessee, Nebraska, Illinois, and Indiana. We also inventory used Flatbed Trailers from manufacturers including Utility, Wabash, Transcraft, and more. 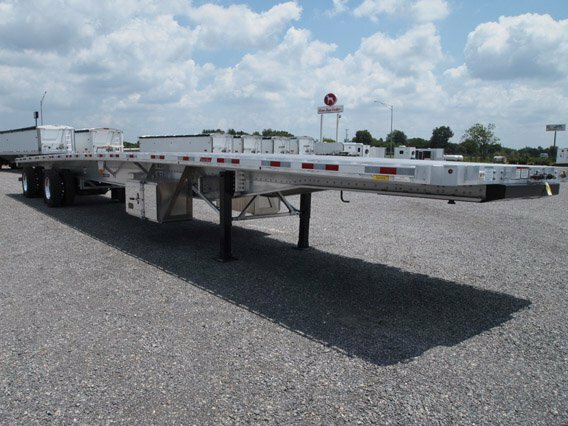 View our best selling Flatbed Trailer and Platform Trailer models below. 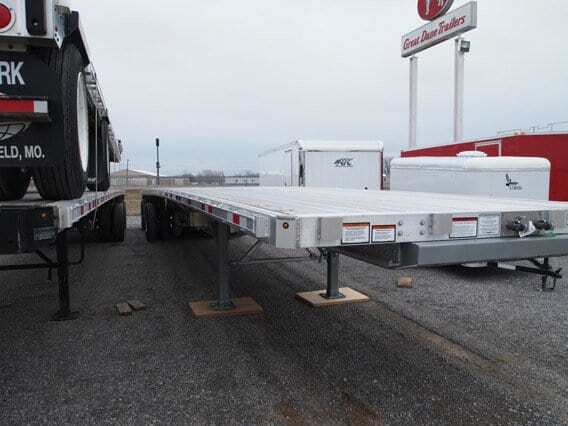 See our current GREAT DANE INVENTORY of new and used trailers. For more information or questions, call us at +1 (573) 545-3065 or +1 (866) 280-6110. You can also fill out our online Contact Form, or our online Quote Request Form for precise pricing details. Need financing? Please download and complete our Credit Application Form. The 48 ft Freedom XP aluminum platform trailer weighs in at 8,200 lbs. when equipped with aluminum wheels, making it nearly 1,000 lbs. less than a combination steel/aluminum trailer. Rated to handle 60,000-lb. loads concentrated in 4 feet and up to 120,000 lbs. of uniform distributed loads, the all-aluminum platform trailer maximizes payload versatility. The 53 ft Freedom XP flatbed combines light weight, strength, durability, low maintenance, appearance, versatility and innovation to meet the needs of today's platform driver’s. The Freedom LT drop deck offers a competitive price in a lightweight, steel/aluminum combination. Choice standard features are found throughout, including some features that are exclusive to Great Dane.